Gary Pendleton believes in service to his country and his community. In 1994 Gary was elected Chairman of the Wake County Board of Commissioners. During his service on the Board, Wake County experienced unprecedented economic growth. Under Gary’s leadership one the most profound decisions for our community was made turning the county hospital in to a private not-for-profit. From that visionary decision we have seen WakeMed Health and Hospitals grow into a premier medical center serving the health care needs of Wake County and beyond. Active in military, civic and community affairs his entire adult life, Gary Pendleton is a retired Brigadier General and former tank commander with the Reserves. Gary’s past service includes appointments to the State Economic Development Board, State Board of Community Colleges and State Banking Commission. 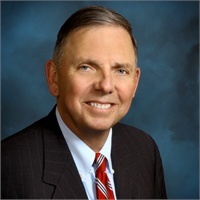 Gary is a former board member of WakeMed, former Chairman of the Wake County ABC Commission, former board member of the Greater Raleigh Chamber of Commerce, a Past President of the Kiwanis Club of Raleigh and in 2013 a committee member for Republicans for the School Board. Gary has also lead a prayer ministry with inmates at Wake County Jail for last 24 years. Pendleton has also served on the advisory board of The Healing Place, the Board of the Raleigh Rescue Mission and is a past president of the Occoneechee Council of Boy Scouts of America. Pendleton is currently serving on the NC Board of Examiners for Engineers & Surveyors and the NC Museum of History Associates. For his service to the citizens of North Carolina, Gary Pendleton was awarded The Order of the Long Leaf Pine, the State’s highest civilian honor. Gary is President of Pendleton Financial Consulting. Gary and his wife Laura have two adult children and are active members of White Memorial Presbyterian Church in Raleigh.